Who sold the most Pick-Ups in 2012? So who sold the most heavy duty trucks in the year 2012: Ford, General Motors, or Ram? It is important to note that GM did sell more 3/4 ton trucks in 2012 once you factor in the Chevy Silverado and the GMC Sierra. 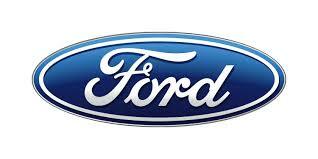 Ford sold 67,786 models while GM sold 27,616 Sierras and 56,359 Silverado models for a total of 83,975 models. Ram sold 41,918 models. However, Ford can still boast being the largest supplier of Ford continues to be the number one supplier of HD pickup trucks around the globe. This may come as no surprise as the Ford F-250 is continually the most popular car sold in America, the largest auto market in the world. Ford has came on top another year for the most Heavy Duty Pickups sold for another year. According to pickuptrucks.com, Ford edged out General Motors by just under 8,000 trucks. Ford sold 119,338, GM sold 111,555, and Ram sold 77,583 HD trucks. Despite outselling Ford in the 3/4 ton category, GM still sold a surprisingly low number of 1 ton trucks. Ford sold an amazing 49,698 F-350 models and 1,854 F-450 models. Ram came in a respectable second with sold 35,665 Ram HD 3500 models. GM came in a distant third, selling only 19,573 Silverado models and 8,007 Sierra HD 3500 models. With a year like 2012, Ford can expect to have another outstanding sales year again in 2013. The Ford F-150 has a name that reaches back decades. It is one of the most successful truck brands in history and has sold amongst the highest numbers of trucks virtually every year it has been in production. Since 1948 the Ford F-150 has stood for toughness and the rugged desire to accomplish the days tasks. Twelve generations of the truck reach back across the ages. The Ford F-150 Truck has been a solid and reliable standby for just about any work you threw at it. Now there are whispers of a new design floating around. 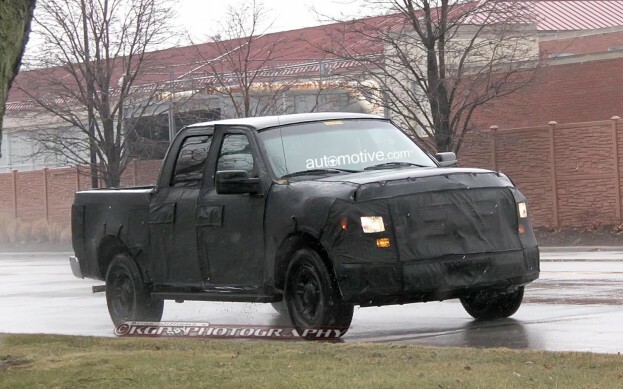 There is talk of a prototype design of a 2015 Ford F-150 sneaking around on the Internet. The speculators are running wild, racking their brains trying to figure out what is going on behind the curtains at Ford regarding this vehicle. 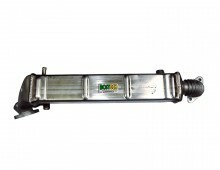 Due to a variety of factors such as the number of lugs utilized on a the wheels or rack space some are wondering if perhaps this a smaller truck. Special Editions have been released in the past such as the Lightning and Raptor, some offer up the name F-100. With all the recent car shows in the last few months such as Detroit in January and Chicago in February many concept cars and prototypes have been hitting the circuit. In fact there a quite a few vehicles making the rounds on Detroit streets now so it may be difficult to know what is going to enter production or is just being tested. The engineers at Ford need to see how parts interact in the real world when they hit the street. That does not mean it is going to make it to the factory and then a sales showroom floor. So keep your eyes peeled for more developments as they break. EGR coolers were first installed in automobiles in the 1970s. General Motors installed the first ones in 1973, and other automobile manufacturers quickly followed suit. Since then, EGR coolers have been working to reduce automobile emissions and help the environment. EGR coolers reduce the number of nitrous oxide gasses (NOx compounds) produced during the combustion of gasoline. Nitrous oxides are a known greenhouse gasses that harm the environment. They both damage the ozone layer high above the earth’s ground and contribute to smog that forms just above the ground. NOx compounds also make the atmosphere more acidic, which promotes acid rain and even aggravates some people’s lungs when they breathe. EGR coolers valves help reduce the number of these harmful gasses that are in the earth’s atmosphere. EGR cooler’s name, exhaust gas recirculation coolers (or valves) describe exactly what these parts do. They are valves that recalculate exhaust gasses. By sending some exhaust back to the combustion chamber, they slow the combustion process slightly. This in turn cools down the combustion chamber. At cooler temperatures, fuel is still efficiently burned, but fewer nitrous gasses are created in the combustion. Thus, EGR coolers reduce nitrous oxides by recalculating exhaust, which cools the combustion chamber. In addition to the environmental benefits, EGR valves have other benefits as well. By burning fuel more cleanly, gas is used more efficiently and overall engine performance is improved. While helping the environment, EGR coolers also save drivers money at the fuel pump. When first installed in the 1970s, EGR valves were not extremely reliable, to say the least. Since then, though, they have become much more effective. Today, they are regulated by onboard computers, which use sensors to ensure the valves are used efficiently. Having a properly working EGR cooler installed in a vehicle is part of being a responsible driver. Checking these valves is not just good for the environment, but it also helps make sure a vehicle runs efficiently. Any mechanic is able to help drivers understand more about their car’s EGR cooler. When replacing your oil, it is always important to use the proper weight and type. Using improper oil can cause your engine to run rough, use more fuel and even result in a catastrophic engine failure. For the Ford 6.0L Powerstroke engine, there are a couple of different weights of oil that you can use. In addition, you can find these oils from several different brands. When you are choosing the weight of oil for your 6.0L Powerstroke, you should always consult the owner’s manual for your vehicle. Typically, Ford recommends 15W-40 or 5W-40 for these engines. The 15W-40 is typically recommended for summer usage, while the 5W-40 is more appropriate during the winter and colder weather. There is also a question of whether to choose a synthetic oil over a conventional oil. Most diesel experts will tell you that the 6.0L runs just fine on conventional oil. You can run synthetic oil in these engines with no bad effects, but your engine’s performance will not improve by much, if at all. Most Powerstroke owners opt for conventional oils for the cost savings they provide.